My friend Nina (who I’ve only met quite recently but feel I’ve known forever) is not only one of the coolest and sweetest people I know, she also has an amazing occupation: together with the family of her husband Marc (whose last name, very suitable, is ‘Weinreich’ — ‘rich with wine’) she runs a vineyard in the Bechtheim region in Germany. The Weinreich vineyards are located in the Wonnegau district of the Rheinhessen wine region, the largest German wine region located on the left bank of the river Rhine. 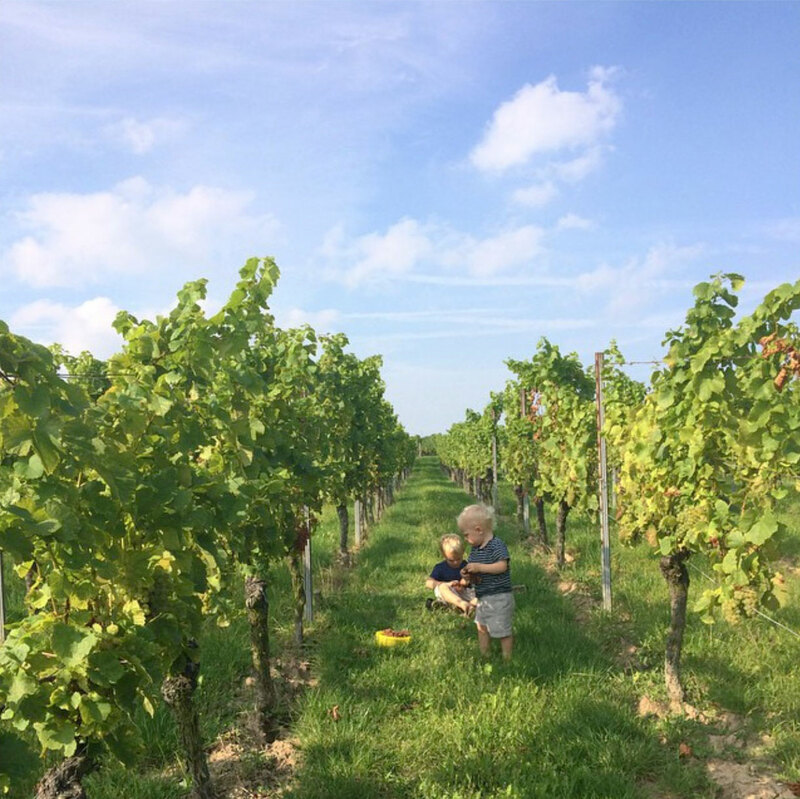 Using the traditional methods already used by Marc’s grandfather, and respecting the natural conditions of the local soil and vineyard, the Weinreich family creates powerful Rieslings, Silvaner and Burgunder wines (without additives). The Weinreich wines are really very very beautiful in their character, strong, individual, and full in their taste. I’m not at all an expert, but I love a good glass of wine and the Weinreich wines truly are amongst my favourites. 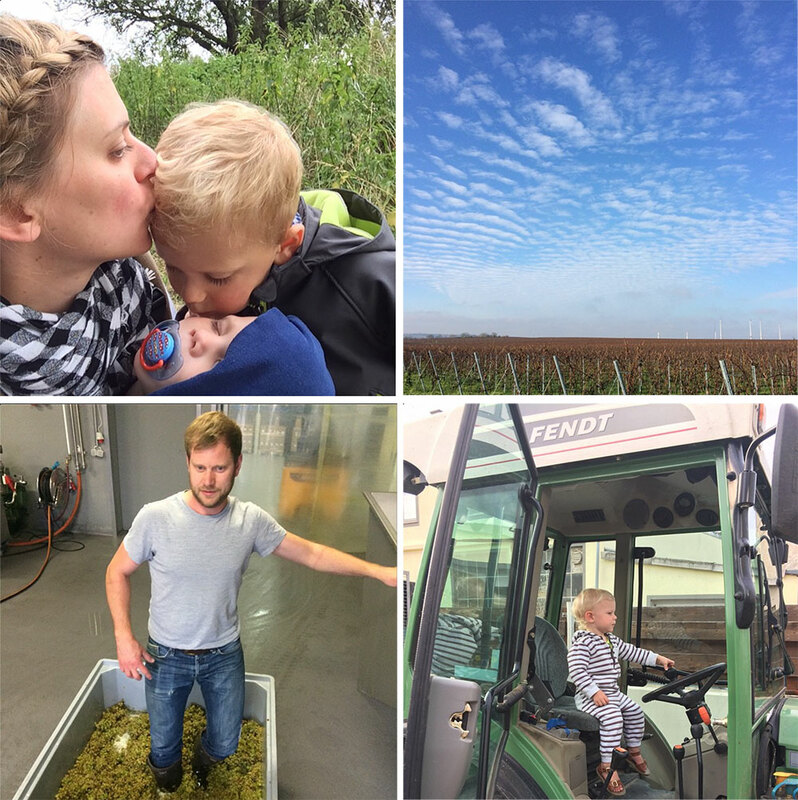 Nina and Marc have two little boys, Henri and Toni, and they live a fairytale life surrounded by beautiful nature, the vineyards, and with super cool tractors to play with all day long. 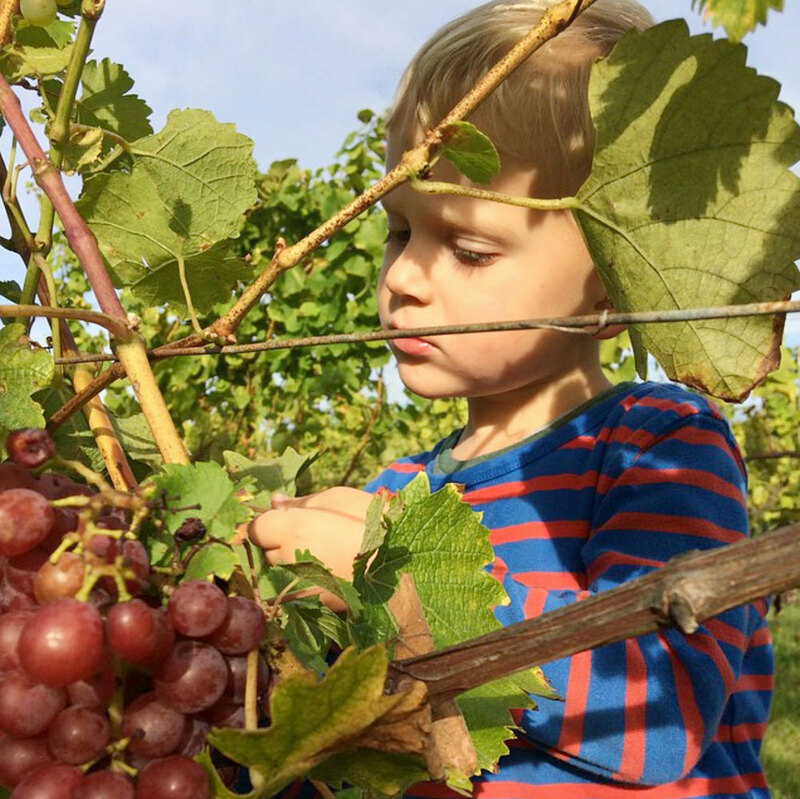 We visited our friends earlier this year and our kids loved it there so very much. We hope to be able to go back soon! Sooo… If you would like to have a taster of these beautiful wines and fall in love with them like I did, then do come to the ShopUp tomorrow evening where we’ll be serving a complimentary glass of Weinreich Riesling Brut (festive bubbly bubbles!) to each visitor. Oh, and to compliment that glass of bubbles… we will also serve yummy macarons from La Dinette and cool crunchy cookies from Bee’s Bakery. Another fantastic reason to come to the King’s Road tomorrow, isn’t it? Hope to see you there!